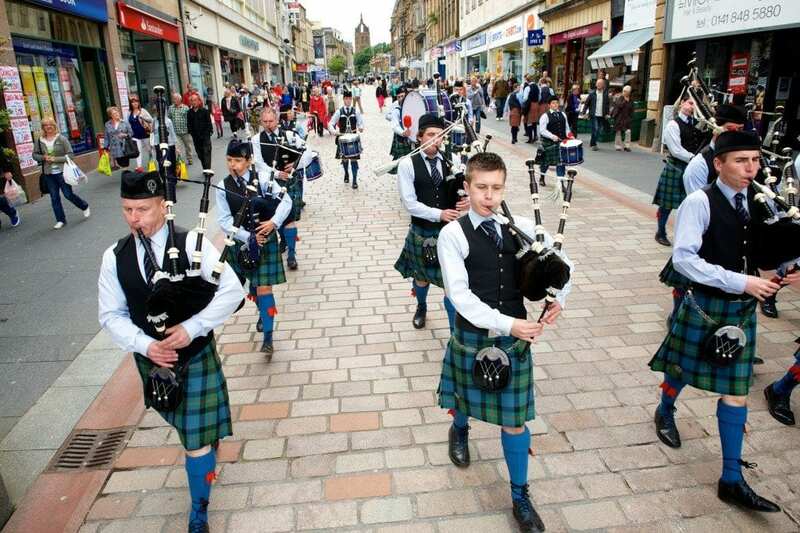 Paisley has been chosen to host the British Pipe Band Championships in 2016, 2017 and 2018. The prestigious competition featuring over 140 bands will be held on May 21 next year. Big crowds are set to welcome bands from all over the UK, Ireland, and beyond to St James’ Park, known as The Racecourse , in Paisley. “Paisley has a fantastic location and we are delighted to be bringing this event to the town over the next three years.Renfrewshire Council Leader Mark Macmillan said: “The announcement that this internationally-renowned event is coming to Paisley is tremendous news. “Paisley is establishing itself as a top events centre having hosted the Royal National Mòd, cultural festivals such as Bring It All Home and The Spree, and the highly popular Fireworks Display, and Christmas Lights Switch-On events. “Our expanding events calendar, aligned to our broader regeneration programme for Paisley, will only become more important as we move towards the town’s bid for UK City of Culture 2021. “Paisley’s piping links are well known as the town already hosts a popular and successful pipe band competition and that will continue.